Now, earn more points for your opinion! 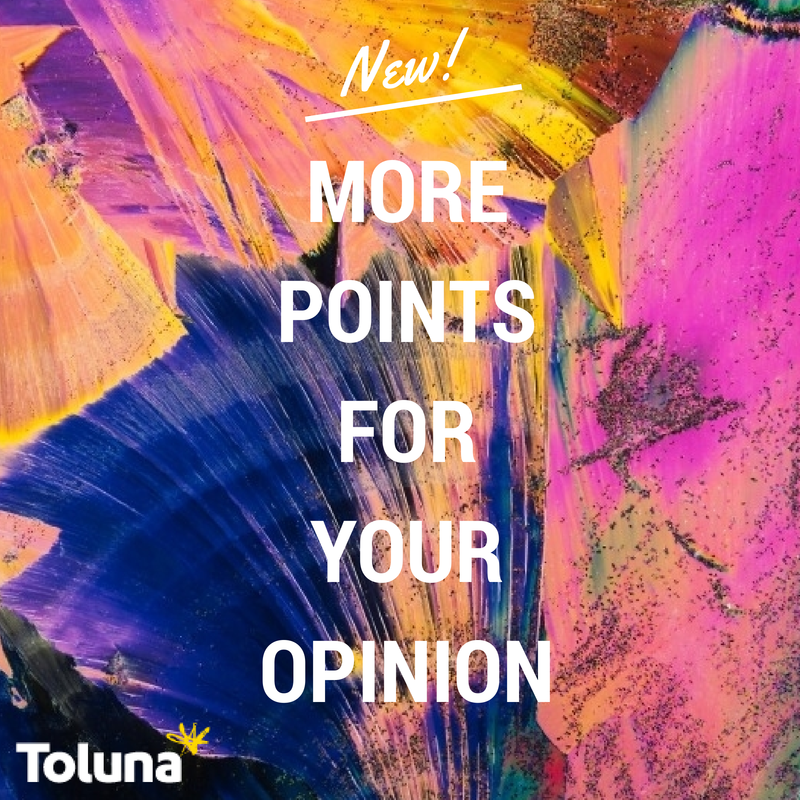 We have some exciting news: you can now win even more points for giving your opinion on Toluna. If you leave high-quality and interesting comments on other members’ Topics, you may just win some extra points, too! If you receive one of these bonuses, they will be directly credited to your account. Remember, you can already win points by creating your own high-quality content (Topics, Polls, Thumbs it and Battles) on Toluna. Check out our tips for creating good quality content that is more likely to receive a content bonus here.